From a record-breaking cycle across Europe, to three separate adventures running, sailing and swimming the length of Great Britain, our ambassador Sean Conway is set to reveal more about his escapades to members of the public in the new year. 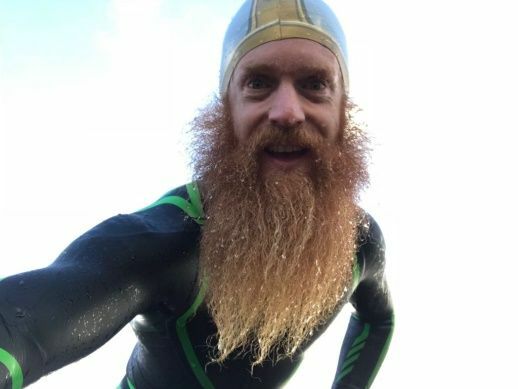 The Cumbrian-based action man has spent his life taking motivation from conquering seemingly impossible challenges – only to use the success in each escapade as a warm-up for the next item on his ‘to-do’ list. You could be forgiven for thinking a 4,200-mile triathlon around the coast of Great Britain and cycling to the Alps to save the cost of a plane ticket is how Sean gets his biggest kicks, but there’s more – and it’s not what you might expect. 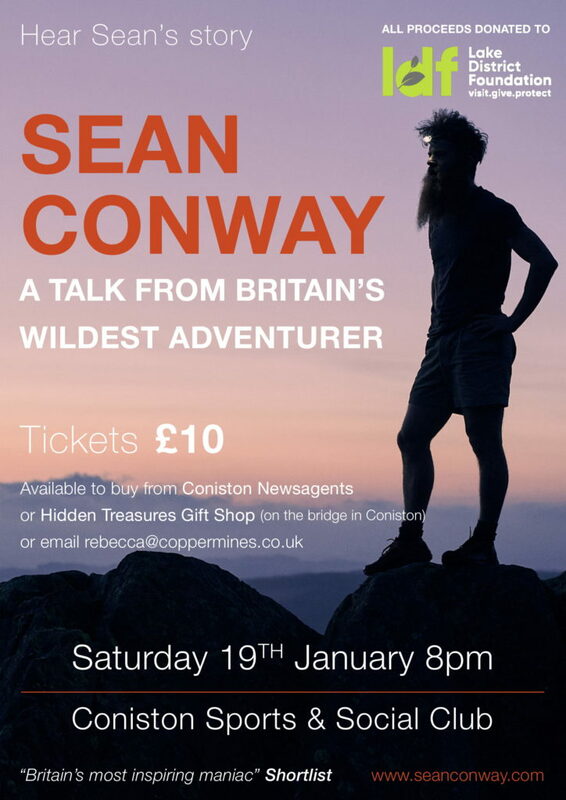 Sean loves nothing more than to inspire others with his tales of adventure and is holding a special lecture on Saturday January 19 as part of his “Explore from the Door” project with the Coniston-based Coppermines Lakes Cottages company. “The idea behind ‘Explore from the Door’ is to remind people of the fun they can have so close to home”, Sean explained. “We all had our early adventures near our homes when we were children and I hope my series of blogs inspire people to venture a little bit further out into this beautiful part of the world”. Hear Sean’s story on Saturday 19th January 2019, 8pm, at Coniston Sports and Social Club. Tickets available for purchase from Coniston Newsagents, Hidden Treasures Gift Shop, or alternatively email [email protected] All proceeds from ticket sales will be donated to the Lake District Foundation. “We’ve all got to remember that when we’re outside, we’re in nature’s kingdom, not our own. The Lake District Foundation is very much aimed at visitors and the tourism industry, who can help us to protect that kingdom. The charity’s approach to caring for the lakes is exactly as it should be; come here to visit – and if you like it, donate some money to help care for it. It means the next time you come here, it will still be just as amazing as you remember it. Meanwhile, the team at Coppermines Lakes Cottages is running a competition for four lucky people to win an adventure weekend to coincide with Sean’s talk. The prize includes a three-night stay at Millrace Cottage (from Friday 18 January 2019), four tickets to Sean’s show, an adventure day courtesy of Adventure 21 and four signed copies of Sean’s book collection (Cycling Land’s End to John O’Groats, Hell & High Water, Cycling the Earth and Running Britain). You can enter the competition here. You can see the full list of Coppermines Lakes Cottages here. Alastair Herd Photography is one of the latest businesses to support the Lake District Foundation (LDF) by raising funds and awareness for this local charity. After recently graduating from Staffordshire University with a First in BA(Hons) Photography, Alastair has moved back up to his hometown of Carlisle to pursue his passion of photography and technology. In September 2017 Alastair gained the PfCO (Permission of Commercial Operation) that is required by the CAA (Civil Aviation Authority) to do any commercial Drone work, and has been capturing stunning aerial footage for a wide range of clients. Alastair has already donated images for the LDF to use in their marketing materials, some were recently used in a photo competition on their stand at Holker Hall Winter Market, where over 100 people took part. Finally the LDF will soon be collaborating with Alastair Herd to produce films that capture the impact of the grants made to local projects – watch this space! Sarah Swindley, Director of the Lake District Foundation says; “We are delighted to be working with the fantastic local photographer Alastair Herd and we are grateful for his time and energy that will help us to raise our profile and reach new audiences. The funds raised by the sale of his products will be used to support projects that care for outstanding and effective projects that care for the Lake District and Cumbria”. 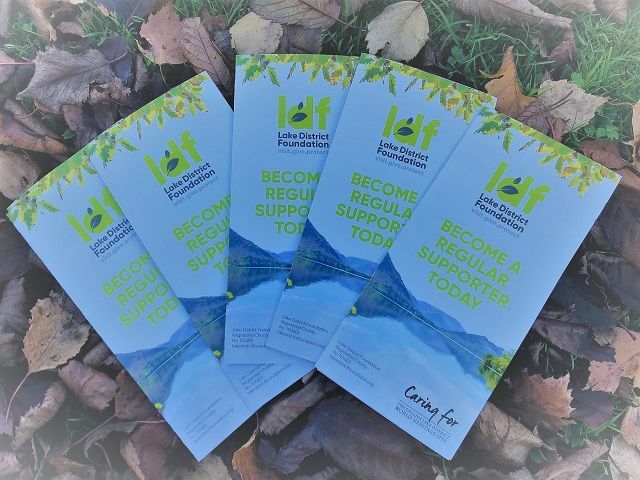 If you are inspired to support the Lake District Foundation in your business, please get in touch via email [email protected] or call us on 01539 822622. The Lake District Foundation is delighted to welcome its newest ambassador: Dr Kate Rawles. Kate is passionate about using adventurous journeys to raise awareness and inspire action on our major environmental challenges. She has recently returned from The Life Cycle: Colombia to Cape Horn by bamboo bike, exploring biodiversity loss. A former lecturer in environmental philosophy, and in Outdoor Studies at the University of Cumbria in Ambleside, Kate set up Outdoor Philosophy to explore big questions about human/nature relations in nature rather than lecture theatres. 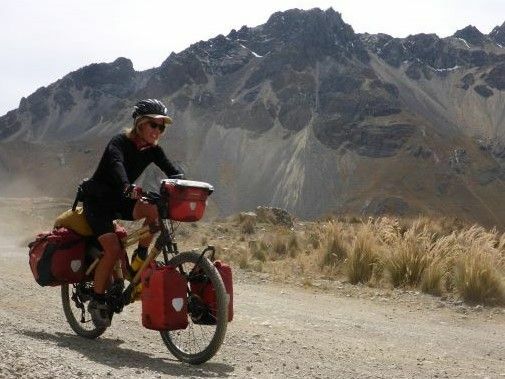 In 2006, she cycled from Texas to Alaska along the spine of the Rockies exploring climate change. Her book about this journey, The Carbon Cycle; Crossing the Great Divide, was shortlisted for the Banff Mountain Festival Adventure Travel Award, 2012. Other ‘adventure plus’ journeys include the Gyre to Gaia ocean plastic pollution sailing voyage with Pangaea Exploration. Kate joins existing ambassador Sean Conway, who has been supporting this charity since it was founded in 2017. You can find out more about our ambassadors, here. 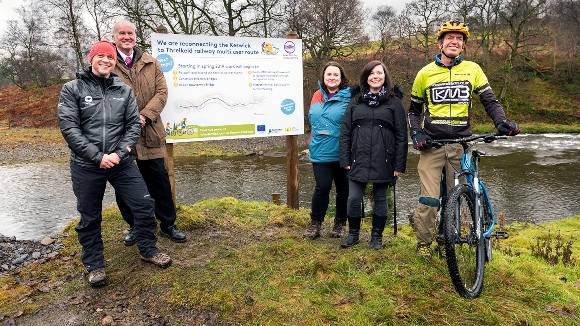 The Lake District Foundation has awarded a grant of £4,500 to the Cumbria Local Nature Partnership, enabling them to lead the development of a clear, strategic approach for managing the biodiversity of the Lake District National Park. Local Nature Partnerships have been established to drive positive change in the local natural environment. This funding will enable them to consider the broad picture across Cumbria, pooling knowledge and indentifying any gaps and challenges. We will then be able to ensure that future funding is invested in the best possible places and projects, with the right people involved to deliver measurable benefits for wildlife, people and the economy. 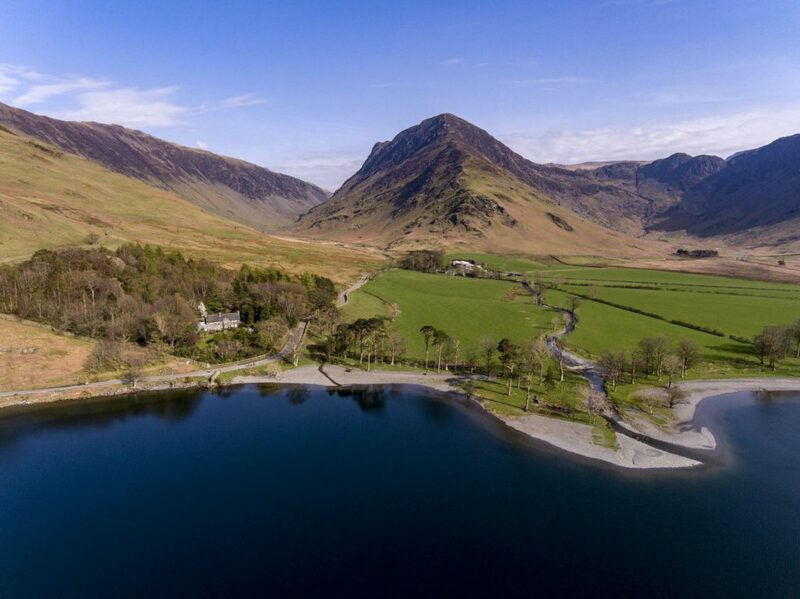 We look forward to the development of this strategy, which will help us all ensure that we care for and protect the landscapes, wildlife and cultural heritage of the English Lake District in the best possible way. The Lake District Foundation has awarded a grant of over £2,600 to the John Muir Trust, which last year took over responsibility for the management of a large part of the iconic Lake District mountain, Helvellyn. 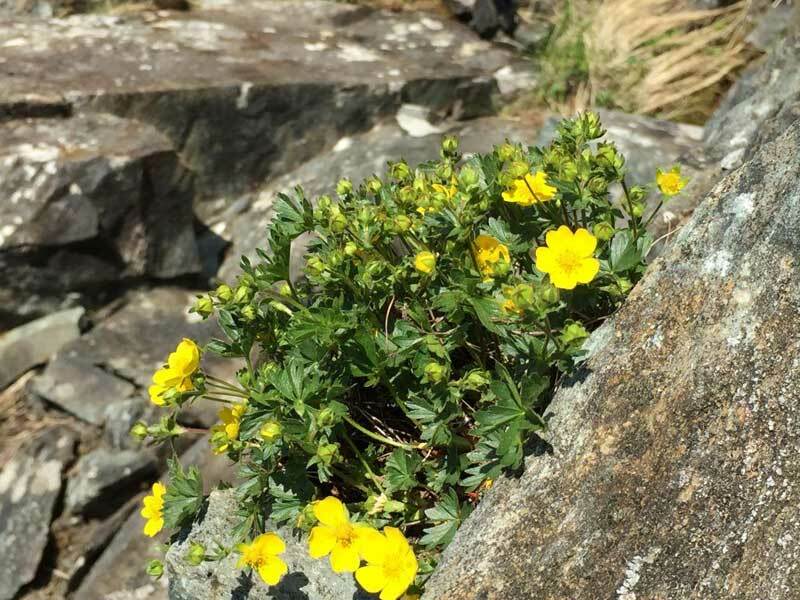 The money will fund a new project aiming to increase the populations of threatened arctic-alpine species found on the high crags of the Helvellyn range. The project will bring together national experts, local volunteers and staff of the John Muir Trust in a project to safeguard our nationally important but extremely vulnerable populations of Arctic alpine flora. Many of these species are growing at the southern edge of their range on Helvellyn. The project hopes to see the successful re-introduction of species lost or under threat due to people and erosion pressure. The work will also help to ‘future-proof’ upland floral and shrub populations against the threat of climate change. Alpine mouse ear, Alpine cinquefoil and purple saxifrage are amongst the species that, it is hoped, will benefit from a gradual increase in their population size. Beginning in the autumn/winter months of 2018, the project will start with the close monitoring of the arctic alpine species present and the collection of seed and cuttings. Volunteers from the local community in Patterdale will work with staff from the John Muir Trust to propagate and ‘grow-on’ a stock of young plants. 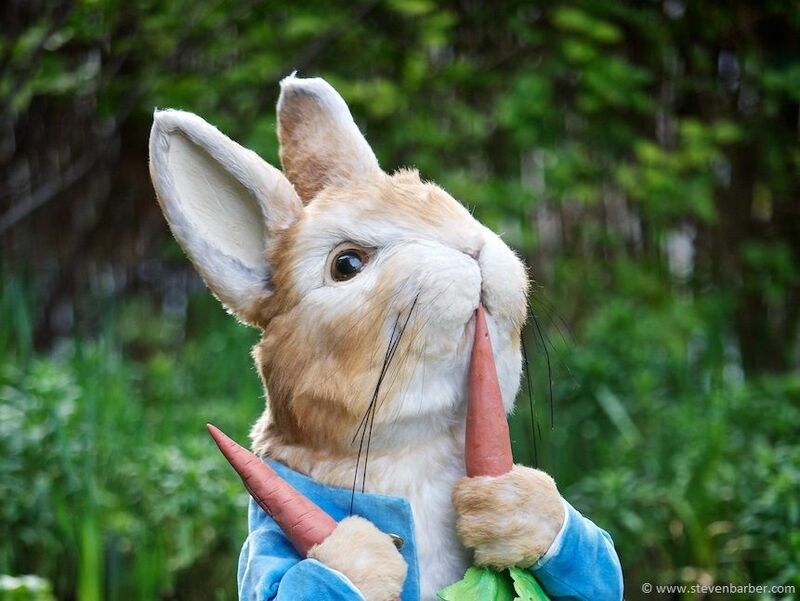 Specialist advice will be available from Natural England and volunteer growers will help assess the success and failure of propagation of these rare species to help inform future work. The funding from the Lake District Foundation will cover the costs of the special growing medium, pots and tools needed, and will contribute towards the costs of seed and cuttings collection, volunteer training and transport. 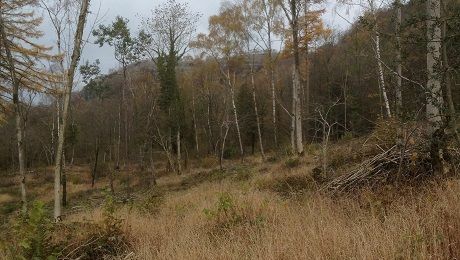 Hopefully – and with the enthusiastic support of Patterdale’s volunteer horticulturalists – the first successful shrub cuttings will be ready to plant out by autumn 2019. The more adventurous and athletic volunteers may even get the opportunity to climb the high crags of Helvellyn to help planting out back onto the fells. 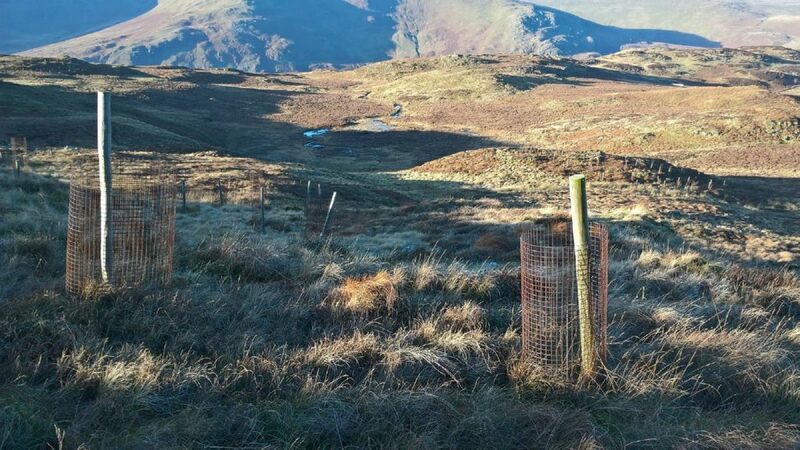 But the whole community and visitors to this upland landscape will benefit if this ground-breaking project is successful in creating more robust populations of the endangered arctic alpine species found in this tough Lakeland habitat. The Lake District’s World Heritage Site inscription includes its Cultural Heritage – but what does that mean? If you live or work in or close to the Lake District, you will now have an opportunity to join in the discussion to help define and manage this special characteristic of the area.  The Lake District Foundation has awarded £4,500 for a series of community workshops to be held throughout Cumbria and the Lake District to help residents understand and take ownership of the Cultural Heritage of the Lake District World Heritage Site. 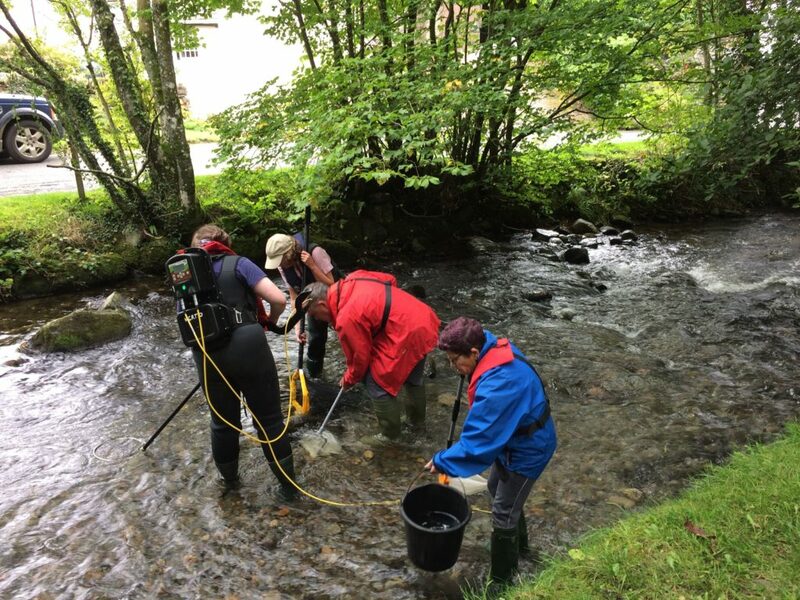 A pilot event held in May 2018 clearly demonstrated that there is currently a lack of understanding about World Heritage Status and what it might mean for local communities in the Lake District. Equally important is the impact on communities on the periphery of the designated World Heritage Site. Participants at the pilot workshop were keen to establish on-going dialogue so that local representatives share in the development of both identity and vision for the World Heritage Site. 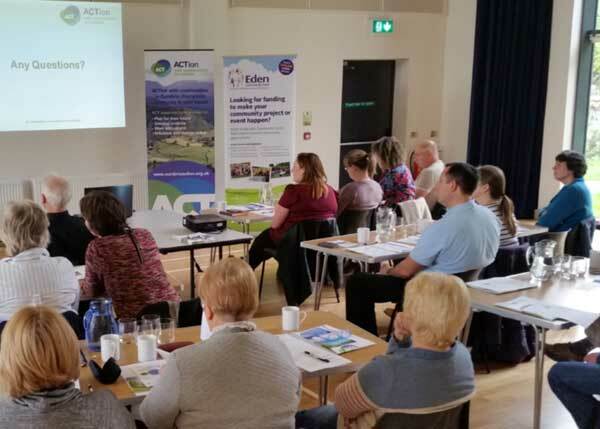 Thanks to the funding from the Lake District Foundation, community development organisation ACTion with Communities in Cumbria (ACT) is now able to arrange a series of local engagement workshops. These will enable residents to explore the benefits, opportunities and challenges presented by the Lake District’s World Heritage Status. They will give local people an opportunity to help define the identity, protection and management of their cultural heritage. Residents and community representatives from across the county will have an opportunity to attend workshops in Bootle, Broughton-in-Furness, Keswick, Glenridding and Grasmere. The events will focus on listening to community views and exploring with them ways to work with the Lake District National Park Partnership (the body responsible for World Heritage Status inscription) to celebrate their cultural heritage and conserve the natural environment. Cedar Manor is helping us to reach out to international visitors with fundraising material developed in Chinese, Korean and Japanese as well as English for guests staying at the hotel. Like many other accommodation providers in the Lake District, Cedar Manor is already fundraising for the Lake District Foundation through a scheme that adds a small voluntary donation to bills drawn up for all guests at the hotel. Altogether, 39 accommodation providers in the Lake District contributed £51,033 to the Lake District Foundation in FY2017-18, with nearly 5 per cent or £2,337 of that figure raised by Cedar Manor alone. As of November 2018, this figure is likely to rise, however, with new bespoke room browser material describing the scheme and its benefits to international guests in their native languages. With international visitor numbers rising steadily, we are dependent on hotels and other service providers in the honeypot areas of Windermere, Grasmere, Bowness and Hawkshead in particular for ways to help visitors continue to enjoy the treasures of this unique destination without diminishing its value for both future visitors and the people who live here. In time, we hope more hotels welcoming international guests will come forward to take advantage of the kind of promotional material we have developed for Cedar Manor. With the funds we receive most recently allocated to projects to protect wildlife, clean up rivers, and champion communities, local businesses are the Lake District’s finest ambassadors, helping domestic and international visitors alike to “give back” to the Lake District, so that the Lake District can keep giving back to them.